Arguably the most iconic motorbike race in the world, the Isle of Man TT will run its 99th event this year across 33.73 miles of the current Snaefell Mountain course, taking in the sights of the majority of the small island. It’s fast, breathtaking, precise, and lethal with hardly a year going by without a rider losing their life on the notoriously difficult circuit. 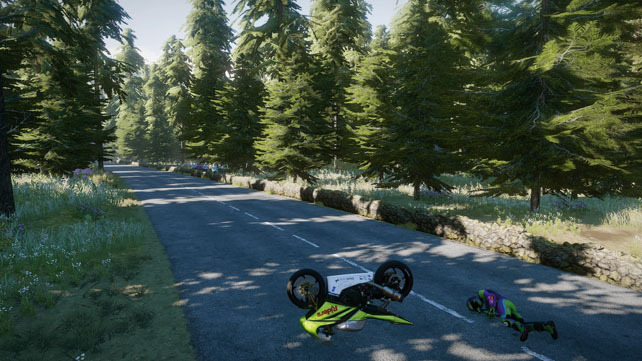 With over 100 years of history, an immense amount of passion and the fact it’s a very famous race, it’s no surprise that there have been a number of games aiming to replicate the experience of hurtling at 200 mph along country roads, and Kylotonn Studios alongside Bigben Interactive are the latest to try. 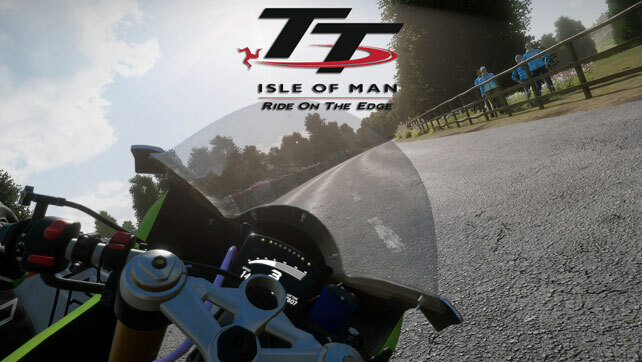 How have they tackled the twists and turns of bringing TT Isle of Man: Ride on the Edge to consoles? Known more for their officially licensed WRC games, and the upcoming V-Rally 4, the developer and publisher aren’t necessarily known for their biking expertise, but at least they can put a track or two together. That’s a good thing because if you just took the Isle of Man race in isolation (which is effectively a time trial), there wouldn’t be a huge amount to keep gamers occupied, so there’s a bit of artistic license been taken with the content. 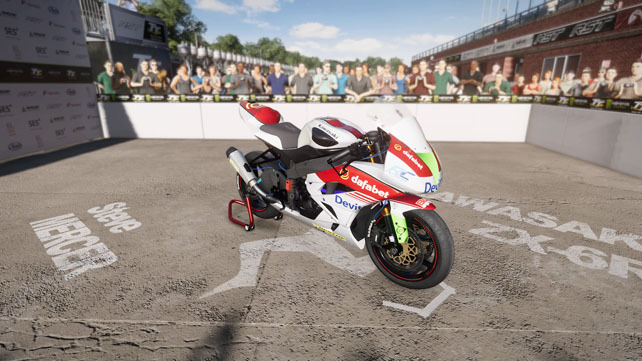 Not the bikes or riders though, all of those are officially licensed and recreated in the game, and the Snaefell Mountain course is a laser scanned recreation of the full distance with the key areas highlighted as you hurtle through at immense speeds. This all assumes you can handle the power underneath you though. In an attempt to teach those who know what they’re doing the finer points of the game, and the rest of us how to stay on a bike, there’s a mandatory tutorial that steadily increase the difficulty of play as you progress through the short section it’s on. A lovely idea to help you determine what level of challenge you can handle, it prepares you somewhat for what you’re about to experience – possibly the hardest racing game ever. I’ve played a lot of different types of racing games but this is something else when it comes to mastering how to ride the roads. The last part of the tutorial simply asks you not to fall off and even that is hard when you’re managing the weight shift and gear changing. Suffice to say most of my racing has been done with most of the assists on. Not that it’s been a walk in the park. 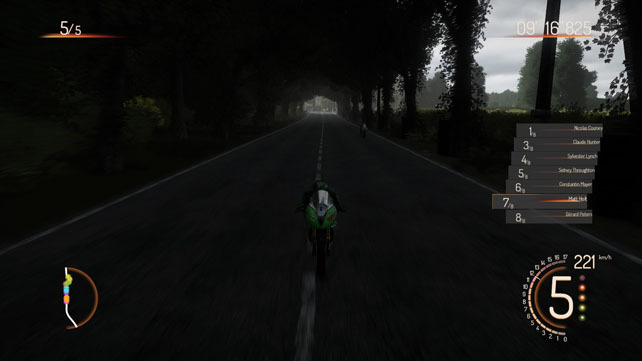 The best prep for tackling the full Isle of Man course is to jump into career mode, buy a bike and then get racing. Career takes you through events on a month by month basis steadily building to the main draw of the game, but it spends most of the time getting you to ride fictional tracks which to be brutally honest aren’t that great. Mostly ovals with a couple of kinks to kill your speed, they seem to drag on and pretty much all look the same – with the exception of one round some docks in Wales. The longer you spend in this mode the more you wonder why you’re bothering. There’s a budget involved in running your career, and even though there’s money to buy your first bike (either a sportbike or superbike), the only way to earn cash is to win an event. That’s right, no prize money for anything less than first. Given that it’s tough to stay on the bike and a race without a crash is something to be celebrated, you’d expect the competition to be a little forgiving. Not so, they rarely make mistakes no matter what the difficulty, and rubber banding isn’t in effect to balance things out. Changing the difficulty of the AI doesn’t seem to make it any easier either, so if you fall off once you might as well restart over again. With limited fictional courses and a preference to make you race the same one 2 or 3 times in a row for a single event, it’s really not the most inspiring mode. Thankfully you can get the to real draw of the game in time trial mode which feels much more appropriate for this game than starting on a road with 7 others by your side. It’s there that you start to understand exactly what the development team have pulled together. Starting in Bray Hill and heading out on the 33 mile epic is something truly special. I don’t think there’s anything that can prepare you for that first lap, and I can only equate it to heading off into the forest of the Nordschleife for the first time. It’s a journey into the unknown, a high speed thrill coupled with a technical challenge that’s as rewarding as it is difficult. More than once I found myself misjudging a corner or a crest and separating from the machine beneath me, but unlike the career mode races I didn’t feel frustrated, I just wanted to keep going and try and master the course. Maybe it’s because I knew I was riding a recreation of somewhere steeped in history and that manages to get conveyed through the vibration of the pad and the rush of the wind over the speakers, but there’s a completely different feeling in the Isle of Man track than any of the made up ones. It should be of course, that’s what this game is for and is centred around. The sense of speed and jeopardy works in conjunction with the country roads and the impressive draw distance that has the mountains and towns loom when you’re still miles away. It’s stunning… or rather would be if it wasn’t such a blur. 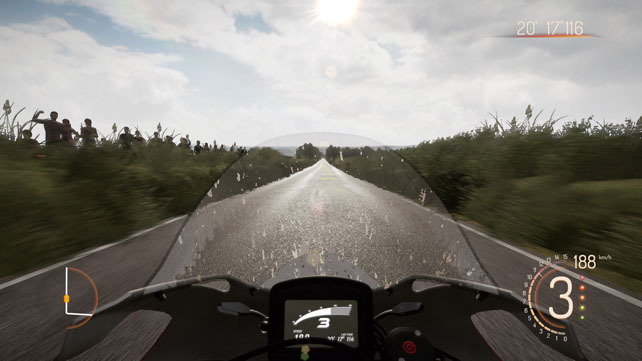 With a wide selection of bikes and riders to pick from, each with different handling, and more coming through DLC (including a free update to bring in sidecars), there’s a reasonable variety in the rides, but unfortunately not the tracks. Career mode is also a grind and wears you down very quickly, unfortunately. The point of this game though is to get you out on the roads of the Isle of Man tackling the most demanding motorbike course in the world. It delivers brilliantly on that front providing an unparalleled experience, but is let down by a lot of ancillary pieces that have been put in to expand the game, as well as a very high difficulty level. This is a must for any biking enthusiast and is definitely not for the faint of heart. 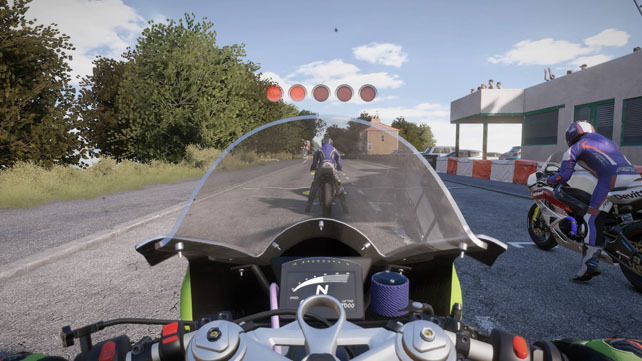 A PS4 review copy of TT Isle of Man: Ride on the Edge was provided by the Bigben Interactive PR team and the game is available now on PS4 and Xbox One for around £40.